4) Pasta Factory for LIFE! 9) Pasta Factory for LIFE! 10) Affordable Mortgage Solutions, Inc. Yea! 3) New York Margarita Pizza with the fresh mozzarella and tomatoes! Love it! 5) and Blogs of course! 1) The way Landon says please "pwease"
The smell of rain in the desert! Monday night our entire county lost power. For some reason everyone in St. George was freaking out, thinking we wouldn't have power for at least 3 days. My entire family and a lot of family friends got hotel rooms down in Mesquite, ready to wait it out where there was air conditioning. Everyone was in such a panic and left so quickly . . . it was quite funny. For whatever reason I told them I would come down later if the power was still out. So instead of fleeing St. George I decided to go on a bike ride with friends! It turned out to be so much fun! We went out to Ivins to Fitness Ridge Resort (a spa that I used to be a fitness guide for and that my friend, Cody, still works for) and we used their bikes. They are the new, fun kind. I call them cruisers but I think they are called comfort bikes or something. They are basically designed so that you can sit upright on them. Anyway, it was getting sort of stormy, but we set off anyway! The smell of rain was in the air, which it rarely is here in the desert. It started out to be a leisurely ride with myself, MaryAnn, Cody and Gabe. 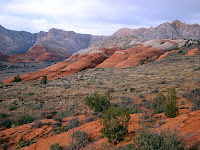 We rode through Ivins and up into Snow Canyon State Park, up the West Canyon trail. We rode all the way to the end of the trail which made our round trip 18 miles. Quite the rigorous ride. 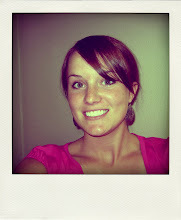 :) But sooo beautiful. 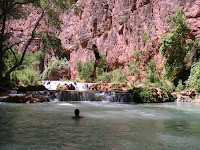 It was evening, the sun was setting, the canyon walls were so beautiful and it was sprinkling! I can't tell you how nice the ride was . . . especially when we got to coast down the trail on the way back. By the time we got back to the spa it was dark and we were close to soaked. A storm had begun and we had front row seats to the lightning show. Like any smart group of people in a lightning storm we threw our swim suits on and went swimming in the huge pool. We only dared be in there for a minute. 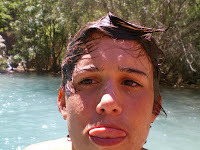 It felt so good to swim throught the warm water and feel the rain fall on us. But to be safe we jumped into the semi-indoor hot tub instead and watched the rain come down and the lightning strike from in there! I know it is sort of a silly thing to write about but it felt like a summer rain storm when I was a little kid with no responsibility. I just got to ride my bike, swim and play in the rain. Oh! And by the time we got back the power was back on in the whole city. 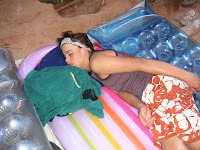 My family stayed the night in Mesquite but were back in the morning! Funny little story! Just such a good night! I almost forgot to post the pics! 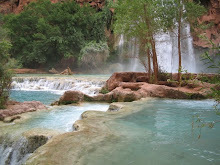 A couple weekends ago - on June 28th-July 1st - I went with Scott, Cami, Mike, MaryAnn and Mary and a bunch of other friends down to Havasupai in the Grand Canyon! This was my 6th trip down there. I have gone almost every summer for a while! It is a favorite. 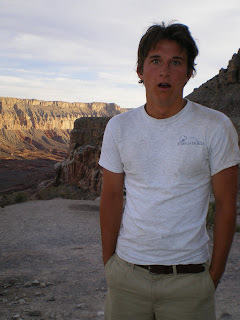 It's about a 6 hour drive from St. George and then a 10 mile hike down there with backpacks on. It's rough! Escpecially coming out the switchbacks at the end. 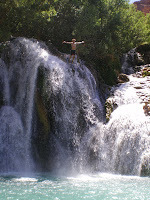 But the hike is worth it, because of the beautiful waterfalls and river that you get to play in while you camp there. If you ever get the chance to go - you should do it. You have to get permits and reserve them a few months ahead. 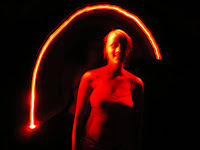 Here is the website: http://www.havasupaitribe.com/ Enjoy the pics! This is the group I drove down with. 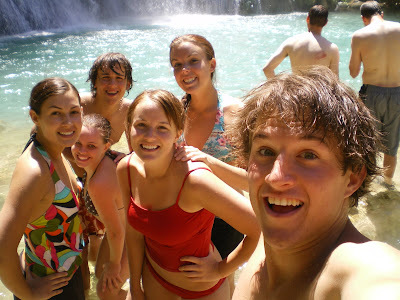 We are at Navajo falls! 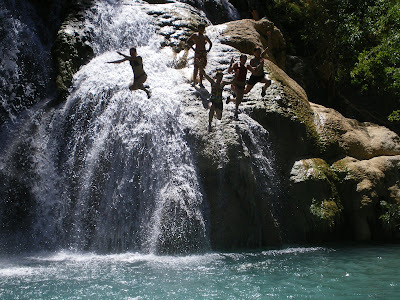 Jumping off the small falls together! Part of the other friends that came. 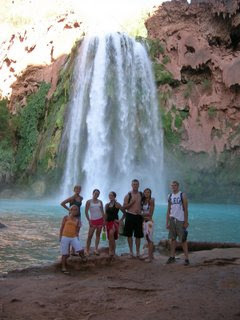 At Havasu falls! 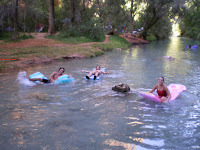 Floating down the river and jumping off the small falls just past Mooney falls (in the background)! 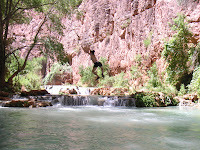 Scott jumping off 40 foot Navajo! So buff! Floating down the river. Mike's awesome hair and face! 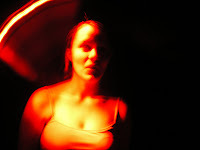 We were messing around in the mining caves down there with our red headlamp and got some pretty cool pics! 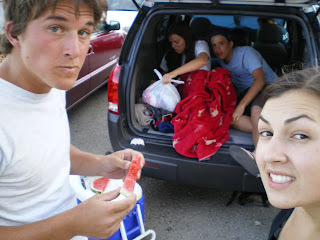 Cold watermelon in the car at the end of the hike out! Sooo good! Scott at the top of the switchbacks . . . so done with hiking! 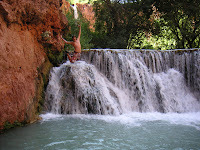 Canyoneering in Mystery Canyon at Zion National Park! Me and MaryAnn Rappelling into the water! Way cool slot canyon! 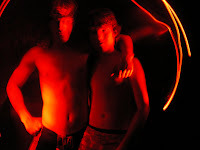 Me and Cody! 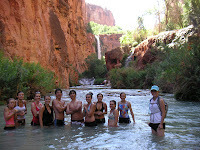 We finished at the Zion Narrows! We rappelled down that waterfall behind and above me. It was a pretty busy day in Zion so people were watching us and we looked so professional. It was so funny! 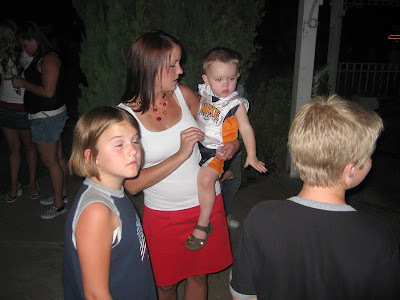 Later that night at Vernon Worthen Park in St. George with the Fam! Jeff, Sara and Landon! Landon threw one of those Snaps on the ground and was making funny faces after! So Cute! It took me forever to get this uploaded . 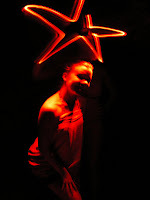 . . and I realize it is in the wrong place but just enjoy! 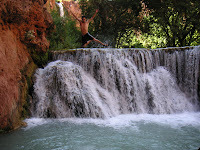 It is of me and Cody rapelling down the last waterfall into the Zion Narrows! We are totally awesome man! It was really slick and we look pretty retarded but it was fun! We're dorks! 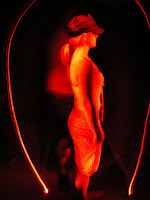 "Scentsy is the safest and hottest new thing in candles. 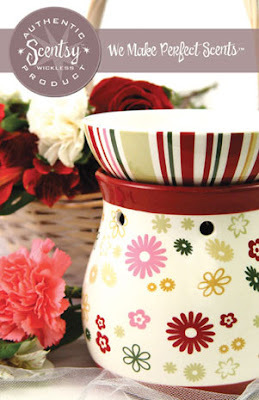 The beautiful ceramic warmer houses a 25 watt light bulb that slowly melts the soft, fragrant Scentsy bar and fills your home or office full of one of more than 80 great, long-lastin scents!" You guys should check out the website! They really are way cute and fun! Hope to see you there! Oh! And if you want to come email me at rebeccaglauser@gmail.com and I will give you directions!